New Japan Pro Wrestling made a number of announcements today at a Los Angeles press conference covering the July 1st and July 2nd shows in Long Beach. 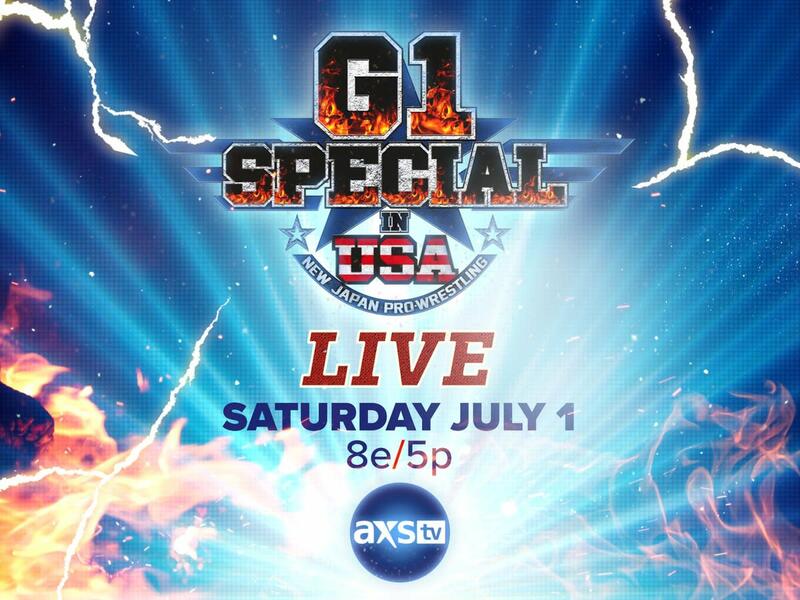 As reported here already, AXS TV will be airing both shows. The July 1st show will air live at 8 p.m. Eastern and 5 p.m. local time. The July 2nd show will air live on New Japan World with a replay airing on AXS on July 7th with AXS airing it in a four-hour window from 8 p.m. Eastern to midnight. The first night will only be shown live on NJPW World for those outside of the United States. The IWGP Heavyweight, IWGP Intercontinental, IWGP Heavyweight Tag Team, and IWGP Junior Heavyweight Tag Team titles will all be defended over the two days. A tournament will also be held to create the IWGP United States Championship, which will be the key territorial belt when New Japan opens up a full-time U.S. outpost in 2018. The press conference featured Kenny Omega, Cody Rhodes, and The Young Bucks, and they spoke about the show in Long Beach as well as all three talking about their matches on the June 11th Dominion show in Osaka where Omega faces Kazuchika Okada for the IWGP title, The Young Bucks challenge Rocky Romero & Trent Barreta for the IWGP Junior tag titles, and Rhodes faces Michael Elgin in a singles match.